Here is your chance to experience Al Carbon like you never have experienced it before, while helping to feed the area’s hungry. It’s The Charlottesville 29 Restaurant Auctions, presented by McGuireWoods. Along with all of the other restaurants in The Charlottesville 29, Al Carbon has created a signature experience available to whoever pledges the highest donation to The Blue Ridge Area Food Bank. Thanks to the generosity of Al Carbon, the winning bid goes directly to the food bank, and each dollar donated is enough to provide four meals to the area’s hungry. So, a winning bid of, say, $1,000 would mean not just a wonderful meal for the winner and their guests, but also 4,000 more meals for the area’s hungry. The food at Al Carbon reflects the heritages of owners Claudio and Myriam Hernandez. Claudio is from Puebla and Myriam from Morelos, and the menu showcases the street food of their home regions. Here is an opportunity to take the genuine experience one step further. The auction winner and nine of their guests will have the entire restaurant to themselves, where they will enjoy a hands-on feast of home-style Mexican food, such as handmade chicken tinga picaditas, squash blossom quesadillas, and salsas made the traditional way on a molcajete. Live music by Estela Knott and plenty of imported beers will add to the fun. 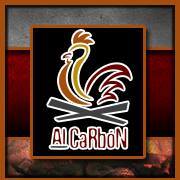 Note: The auction winner will schedule the event on a mutually convenient Monday, when Al Carbon is otherwise closed. Bidding for the Al Carbon auction closed on June 24.